If you’ve had a spinal fusion and are still in pain, maybe you’re feeling frustrated or defeated. For guidance on how to get active, and take back your body, start here. While my scoliosis is not fused, I’ve worked with countless clients and Pilates teachers who have had surgery. Through mindful movement, I’ve helped them find the freedom within their bodies. Whether you yourself made a choice to undergo fusion surgery or a parent made the choice for you, Spiral Spine is here to help you. The resources below apply to people with a partial fusion of just a few vertebrae, a full fusion of the entire spine (including into the pelvis), and those who have had hardware removed but are technically still fused from bone grafts that have been placed along your vertebrae. The more knowledge you have about your body, the more you’ll be able to help movement and body practitioners help you. Contact your surgeon’s office to access your records. You’ll want to find out exactly what vertebrae levels have been fused, which method and what type of hardware was used for your surgery and whether any other part of your body was affected (for example, if you had a bone graft taken from your hip). 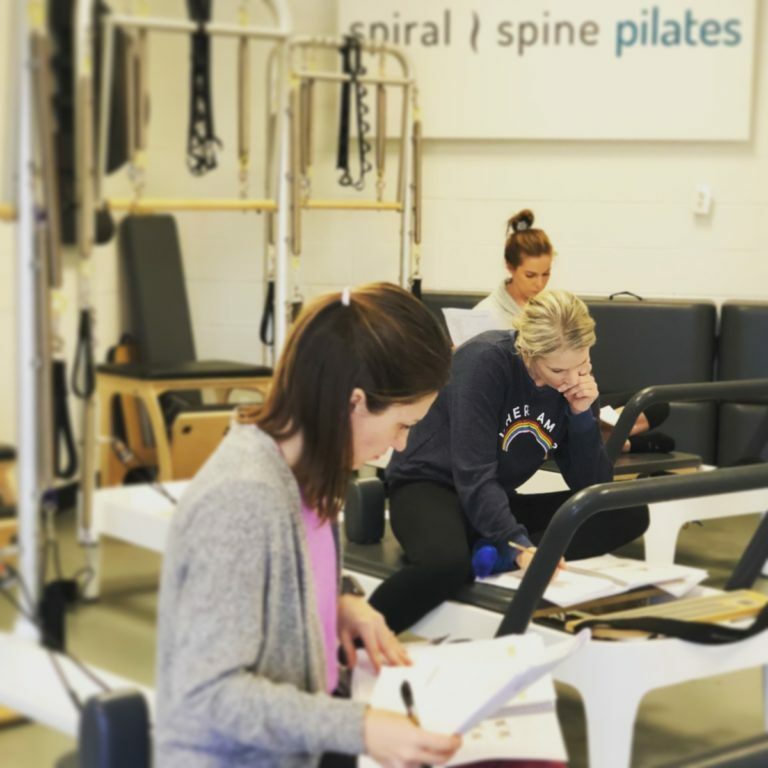 If you can acquire X-rays of your spine and post-op reports, this will be very helpful for both you and any movement practitioners you work with. If you’re not sure what levels of your vertebrae are fused and you cannot locate your records or X-rays, look at your scar. Any area of your spine that falls between the two ends of your scar should be treated as if it is surgically fused. Stabilize the areas of the spine that are fused and never attempt to move or correct them. Mobilize, stabilize, and encourage biomechanically correct movements in all joints of the body that aren’t fused. 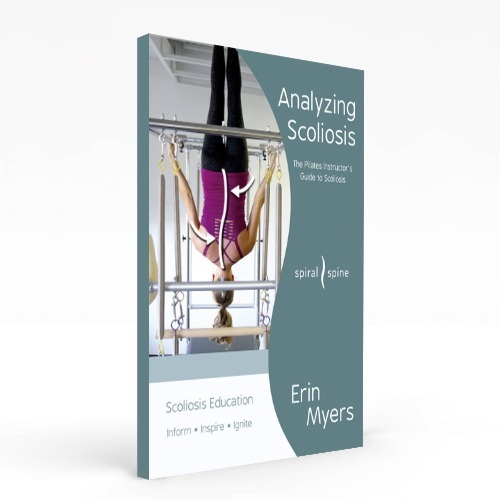 These short videos will introduce you to my method and start you on the journey to owning and understanding your scoliosis. They will also help prepare you to use scoliosis-specific movement strategies. Please note: since your spine is fused, video 3 will not apply to your body. This video discusses padding, but please do not use padding on your spine. Why? Your spine has been surgically fused in a certain position, and padding could cause an area of your fused spine to shift (which could lead to an injury or even broken hardware). While this video is aimed at Pilates teachers, you’ll learn how to safely move while living with a fusion. Knowledge is power for you, so the more knowledge you have on how to exercise with respect to your fusion, the more confident you’ll feel caring for your body. Movement is important to a healthy body, especially one with scoliosis. Your diagnosis and your spinal fusion don’t mean you should sit still for the rest of your life. You no longer need to live in fear that movement will hurt you and make your scoli worse. Start small with a brief daily walk to wake up your muscles and remind your body how good it feels to be active. Now that you’ve started moving, you won’t want to stop. Look for someone in your town that will listen to you and that you feel comfortable working with. Share your scoliometer app and share the Starting Point Series with them. Ask them to use these to help you feel better. If you are having trouble finding someone locally, I offer virtual lessons and can also help guide you to find a practitioner near you. Feel free to contact my studio to get set up. This workout can be done at home. It contains movements specifically designed to help get you moving. Spiral Spine is dedicated to walking alongside those with scoliosis spinal fusions. Stay tuned in the near future for more resources and at-home workouts, all made specifically for people with spinal fusions. To be notified by email when we’ve released a new resource, sign up to receive updates from Spiral Spine.